Geoff's original music is the best! 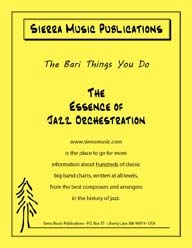 It is unique, very melodic and extremely interesting. 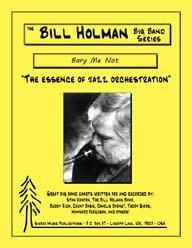 As recorded on the new CD The Bill Holman Band Live, Holman has written a witty, musical, fun-filled feature for baritone saxophone. This is a beautifully haunting melody, scored for bass clarinet soloist (opt. 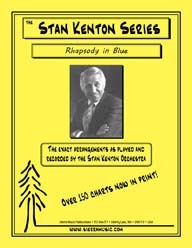 As recorded by the Stan Kenton Orchestra on "Live at Brigham Young University", this is a rare baritone saxophone solo feature throughout.